The wifi access was incredibly fast and reliable. The room was also very spacious and comfortable. The staff is super friendly, all in all was good at Lovely House. The super plus was that on Friday, the day of our departure, it was a strike at the public transport and the owner of the property took us by car closer to the train station. It was of great help! The hostess was quite nice and the beds were not uncomfortable. The house was nice and good, not far from train station. The young boy in the reception was lovely and the outside is very cool. Also it is located close to a train station. Beds were comfortable. Water dispenser is a nice touch. Convenient for public transport into the centre. Sweets in b the reception desk. Graffiti on the walls. The good thing that was not so bad – is the location, cause there was the tram stop near this place. But inside everything was awful, only the bathroom was more or less clean, and there was a hairdryer in the bathroom, but the bathroom is shared for the whole floor! 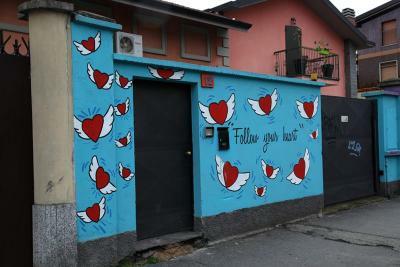 Lovely House is located in north-west Milan, 2,300 feet from both Milano Certosa and VIllapizzone Train Stations. 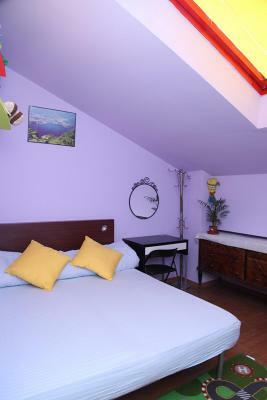 It features rooms with free Wi-Fi and painted with lively pastel colors. Fitted with modern furniture, all rooms at Lovely House feature a desk and fan. Bathrooms are shared. 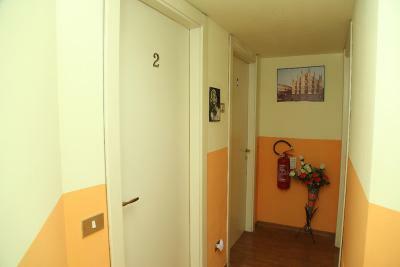 Guests can find restaurants, cafés and a grocery store within 2 minutes' walk of the property. When would you like to stay at Lovely House? This room offers free Wi-Fi and a fan. 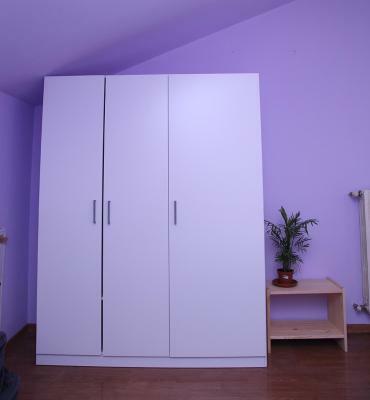 It is painted with lively pastel colors and it has a shared bathroom. Air conditioning is available upon request, at extra charge. House Rules Lovely House takes special requests – add in the next step! Lovely House accepts these cards and reserves the right to temporarily hold an amount prior to arrival. A surcharge of EUR 8 per room per night for air conditioning is applied from 15 June to 31 August. Please inform Lovely House of your expected arrival time in advance. You can use the Special Requests box when booking, or contact the property directly using the contact details in your confirmation. The place stinks (literally it smells very bad). There was a kid around 10 years old that barely speak English in the desk of reception. The walls of the room and the bedroom where super dirty and mouldy. The room had a top roof window which was close and covered with a plastic so there was not natural light or ventilation in the room. It was difficult to communicate in English with the staff. The host wasn't polite and welcoming. The room itself was dirty, with dust on the ground and spiderwebs on the ceiling. The smell was strange. The only window was covered with some sticky material which prevented the daylight coming to the room. So there was no natural light. No glasses or mugs in the room. It was impossible to safely lock the door to the shared bathroom because the locker was broken (only attached to the door with a simple tape). Everything was a total disappointment. The bathroom was so bad, I hardly used it. It was on the brightly lit entrance corridor, so visible from the (open) front door - no privacy. It was shared with the family and doubled as their laundry room. The shower head wasn’t fixed to the wall. The lock was so flimsy, it broke and left me locked in. I was too nervous to lock the door again. I knew it was a shared bathroom, but did not expect it to be so ‘public’. Very basic, as reflected in the price, and the area is not particularly nice. Rooms didn't smell very nice and were not very nicely furnished. Bathrooms were shared. The upstairs bathroom was okay but the downstairs one wasn't nice and the lock is dodgy, I couldn't unlock it and had to get someone to get me out. The bathroom is clean but there is bad smell all the time , I hope they will but something to change it. Good rooms just for sleeping. Check in time could be more flexible..
Additional 4,5 euro to pay for whatever the reason. No refund was possible so had to pay it. The door in the toilet are broken. The room was very dirty, the furniture had strange spots, and everything had a very bad smell, it was very loud and all the neighbors could be heard during all night! And if you want to use an air conditioner, you need to pay for it additionally O_o !!! 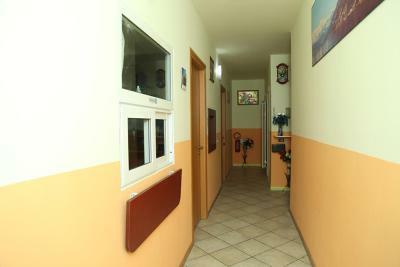 I na ilness after vacation in this room, non function heating and Window which cant close .